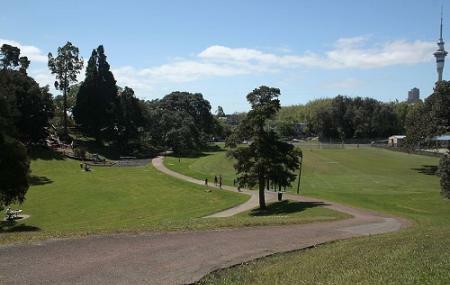 The Western Park that dates back to the 19th century, adds to the many green spaces that are located in and around Auckland. The park is located where the Tuna Mau stream used to flow and also where once Te Rimu Tahi ridge stood. Today, the park is a favorite cultural space with many events held in its green pastures. The many walkways that run around the park along with a children’s playground and modern amenities, makes the place a favorite weekend spot. This park is beautiful. Be prepared to walk up hill and down dale, as it's located in a gully down a hill. If you're interested in playground stuff start at the bottom of the hill. A new and awesome set of slides as well as a flying fox. Kids loved it. Check out Woof! the 🌈 dog show every year. Great park for many occasions. I liked to jog there because of steep paths and stairs with 130+ steps, so great for exercise. Nice looking playground for children. Many parents and families take their children there in the evening. Lovely park close to city center. This place is great to take kids to one of many playgrounds in the park. Also great place to walk your dogs. Few tennis courts available at the bottom of the park. If you feel like a drink just walk up the park to ponsonby road. There is a number of exercise machines if you feel like a proper workout. This place is good for a decent run as well. Old stomping ground since yester years (three decades) Good to see people using it for having civilised drink or two (even though I think you're not supposed to), just chillin' and even feeding the goats x 3. Where did they come from!!! Also good to see it's well maintained. Great family outing or a picnic, pets and all by the look of it. And to top it off great sunny day!